I recently went to a party of a friend who used an evite system (personally, I’m old-school and still send party invites through the mail). As I was scrolling through the invitation, one RSVP caught my eye – someone said they couldn’t come to my friend’s party because the party was in the evening, and their toddler usually went to bed at 7:00 PM. I understand even more than most how miserable things can get when your child is cranky and tired. It can certainly make attending certain events more difficult. 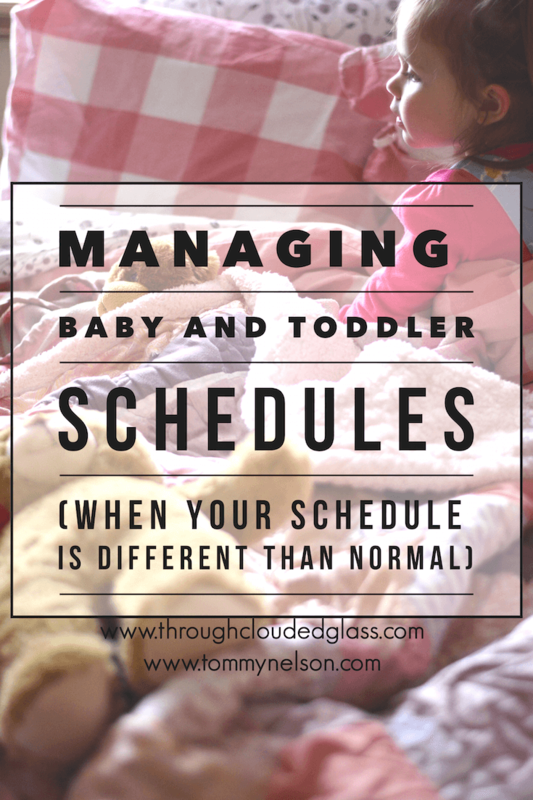 I have two main thoughts about handling your baby’s or toddler’s routines when events interfere with the normal schedule. Read the rest of my post to find out why I think you need to say no and yes to events that interfere with your normal schedule! This entry was posted in Blog and tagged Babies, Baby, Callie Martinez, Motherhood, Parenting, Toddlers by Callie Nicole. Bookmark the permalink.